Admitting you have a problem is the only way to take control of financial life. Of course, that's a lot easier said than done, but there are some specific actions you can use to how to stop overspending and improve your financial habits. Take it from a former chronic overspender: It might not be pretty, yet the process is worth it. 1. Develop a Budget or Improve Your Existing Budget. Taking a fresh look at what you bring in versus what you spend is a crucial initial step. Seeing the amount of money you're wasting on clothing, gadgets, and other luxury items can be a major wake-up call. Set up a Spreadsheet. Regardless if you do this online, with Excel, or merely on an old-fashioned notepad, build a spreadsheet to classify different expenses and types of earnings. Total Your Pay Stubs. Compute just how much you're generating monthly from salaries, tips, and any other income sources. Gather All Your Bills. Get your utility bill, credit card, mortgage statements, and whatever else you have to pay monthly. Start by making a classification for fixed expenses and add them up first. Detail Your Variable Spending. From home entertainment to clothing, and from groceries to gas, start allocating funds to each variable spending classification. Base your amounts on how much you've spent before, however also try to control things a bit. Don't start out too precise though. I discovered that if my budget is too tight, I'm simply setting myself up for later binges and eventual failure. Put Some Cash to Savings. Don't forget that a good budget also allocates cash to savings. Consider following the "50/30/20" rule: 50% of your monthly earnings must go to fixed and essential costs, 30% to enjoyable stuff and lifestyle alternatives, and 20% to savings and paying off debts. Talk to a financial advisor about exactly what type of cost savings vehicle is best for your budgetary objectives-- a regular savings account for emergency expenses and an IRA for your retirement should help you get going. Test Your Budget. Leave room beside each budget entry and enter the true amounts you spend moving forward. Compare them to exactly what you 'd planned and correct your numbers for the next month appropriately. If you are really serious about learning how to stop overspending you need to dump the plastic. By switching to a cash-only envelope budgeting system, you're forcing yourself to stay with the strategy-- when your money runs out, you're done spending. Get a bunch of envelopes for all your variable expenditures and label each one according to how much money you've allocated in your spending plan. Then, put that sum of cash inside for the next week. Additionally, you might choose to simply keep all of your weekly money in one envelope and draw out a couple of $20s here or there as needed. Just do whatever serves you best and adhere to your spending plan. 3. Leave behind Your Credit and Smart card Numbers. When shopping online, there's no better convenience than remembering your charge card number by heart. Failing to remember your numbers makes it a little less convenient to purchase things, and in the few seconds you're grabbing that wallet you simply may contemplate the choice you're about to make. If you currently understand a few of your numbers by heart, cancel your current cards and ask for brand-new ones. Then, go through your favorite Web shopping profiles and eliminate your saved info so you can avoid the temptation of buying with a single click. 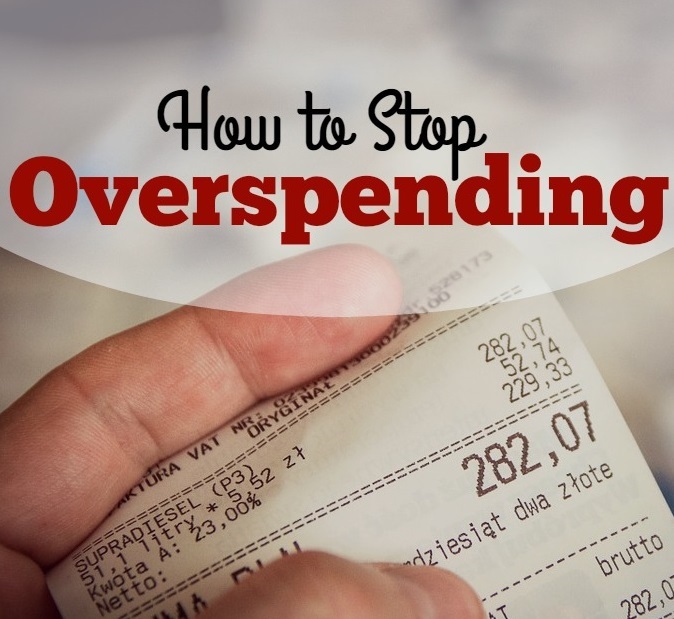 Overspenders might prevent the urge to alter their ways since they believe it means no longer having a good time or socializing with good friends. That's just not the case. While you may not have the ability to splurge on that couple's cruise ship or eat at your preferred four-star restaurants anymore, you can still be sociable and live a full life simply by making cheaper plans. Is the discussion any less special if you invite your friends out for a cup of coffee instead of an expensive dinner? It's all right to let the people in your life understand that you're attempting to spend less-- after all, you undoubtedly mention to folks when you go on a diet because it helps improve your accountability. The same goes for your budget. Who knows, you may even discover a few of your friends or family grateful for the example you're setting. 5. Establish Interim Financial Goals. Someone who puts a brand-new laptop on a credit card with little intention of paying it off immediately isn't really usually concerned about the future. Overspenders are all about the " here and now," seldom giving major pensiveness on how their practices may impact them in the long-run. However, by specifying some possible, achievable short-term goals, you can encourage yourself to save and transform those habits:. Save a minimum of 15% of each paycheck in a different account. Stick to a money budget for two weeks. Save $1,000 in an emergency savings account. Take lunch to work daily for a week instead of ordering in. Remix your closet for a full month without shopping. Short-term objectives like these can serve to help fundamentally shift how you view and spend cash. They can also be a little a hurdle, so pat yourself on the back whenever you achieve one. As you become more money-savvy and less impetuous, you can start to set longer-term goals for the future. 6. Zero Out Your Accounts. As an overspender, your state of mind may be, "If I have it, I'll spend it." That's why I empty out my accounts each month. No, it does not mean I spend until it's all gone however I find a home for every dollar in my checking account so I'm not tempted to make senseless purchases. Deposit your salary in your bank account, and instantly begin" informing" it where to go. If you're on a money budget, withdraw the needed amount. Then, pay your debts. To prevent the temptation of blowing the rest, move it to other accounts, such as a savings account and a pension fund. Make sure that every dollar has a home, leaving you basically with a $0 balance in your bank account at the end of every month. Now it's time to try and think of spending in a different context. When you're faced with a possible purchase, compare it to the better things you could purchase with the exact same money, or to the energy you expended to make it, and you might reconsider splurging. Assume you wish to spend $2,000 on a spontaneous vacation: If you make $20/hour at the workplace, it will take you a minimum of 100 hours to earn that cash-- not factoring in taxes. That $2,000 could go to getting out of financial debt, launch a retirement fund, or even purchase an automobile. Comprehending the value of money to your personal financial picture is an essential element to altering the way you think about spending. Imagine you go on too strict a diet plan-- you're going to be very tempted to splurge when the right temptation catches your eye. The same holds true for spending. Yes, instantly putting yourself on a strict spending plan can help you save money-- until you go nuts and wind up on a shopping binge. It's all right to give yourself little rewards now and again to remain on track. If you love clothing, put a little cash aside or load up a prepaid debit card for a reasonable shopping holiday. If you have the tendency to splurge on outstanding dining, plan one night each month to nosh at your favorite restaurant. Love to take a trip? Reward your good behavior by searching around for last-minute deals or taking a day to check out what your city has to offer. This is your financial version of a cheat meal, so make the most of it. I like to believe that I'm a completely reformed overspender, however the urge to swipe my card does occasionally appear. You can't totally reform your bad habits overnight. Nevertheless, merely acknowledging them and making a commitment is a fantastic initial step towards learning to stop spending more than your means. Set objectives and put safeguards in place, and you can slowly but surely make the maneuver from chronic overspender to smart consumer. 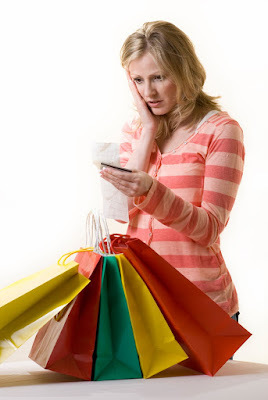 Are you an overspender? How do you suppress the temptation to spend lavishly?